‘I Am’ Yoga & Affirmation Cards have been created especially for children to use by themselves, with their friends or with their parents. The illustrations have been hand-drawn and made with love. 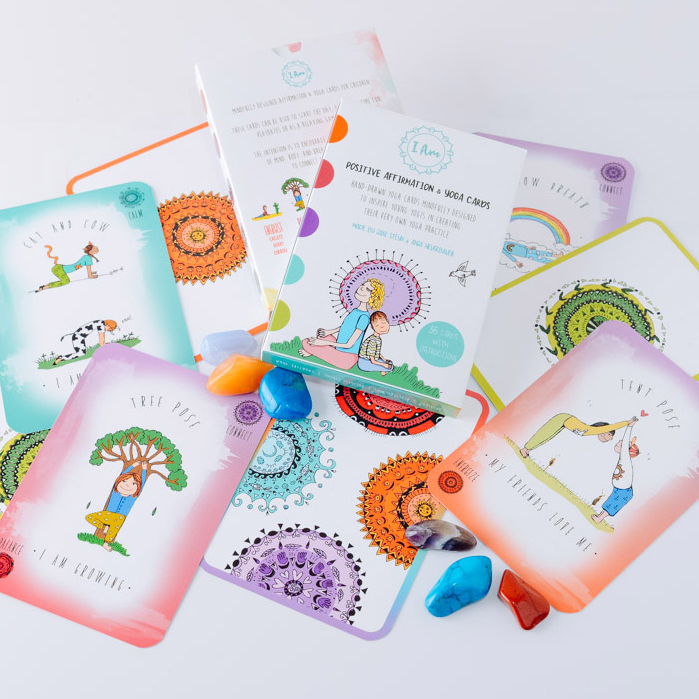 These cards will inspire young Yogis to create their very own Yoga practice. You can use them to start the day, for school time fun, on play dates or as a relaxing game before bed. 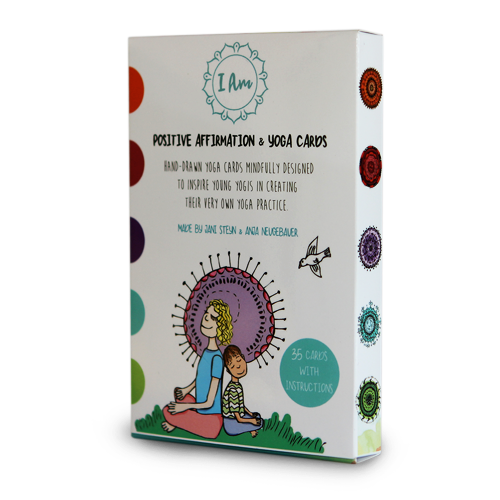 The intention of the cards is to encourage your child’s awareness of mind, body and breath. But most importantly, use them to connect and have fun! 35 hand-drawn yoga cards mindfully designed to inspire young yogis in creating their very own yoga practice.